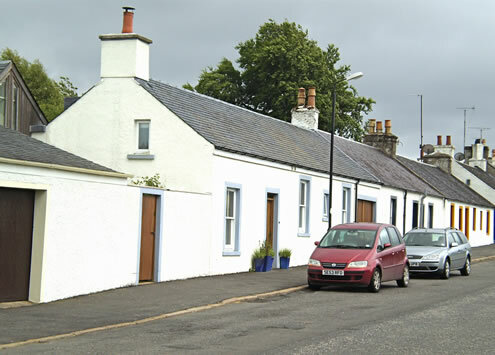 The weaver’s village of Crosshill is a Conservation Area where the whole terrace of cottages are listed, and included a gap site for many years. 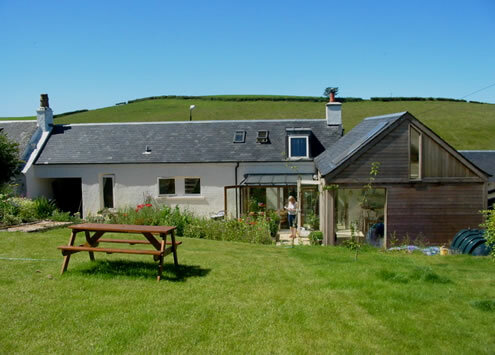 ARPL designed a new house to fill the gap to provide a three bedroom house and artist’s studio. Scale and detail of the street frontage had to suit the listed terrace and included a garden courtyard behind a high wall, but the spaces behind are modern open plan living accommodation flooded with natural light and with views to the fields behind. 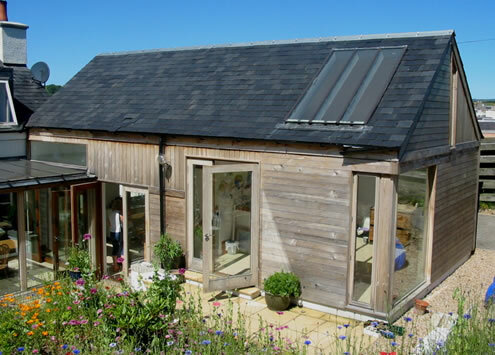 The studio on two levels has natural lighting with varied aspects to suit the vibrant style of the artist. Materials used combine the traditional harled walls and slate roofs of the village cottages and at the rear cedar cladding which is weathering naturally to soft greys.